"How important is gaming on smartphones" is one of these topics that keep popping up, and now we have some hard evidence what you think of it, as we are going to present you with the results of the poll we ran approximately three days ago. The poll results dictate that the majority of you (52.63% or 390 votes) voted that gaming on smartphones is not important, and yet, there are these moments when it feels right to kill a piggie or two. Or even more. Then, on the second place, we have 265 votes (35.76%) that proclaim gaming is one of the great things you can do on smartphones, and these guys obviously do it a lot. You lads did well, but still scored second. Those of you who are more focused on world peace, the works of Hemingway, the words of Bob Dylan (or whatever you are into) than playing on their smartphones are a vast minority with only 11.61% (only 86 voters). Well, these are the results (you can see them below), and it's said that facts speak louder than words. That's not to say that facts can't be discussed, so you can drop a comment or two, but even if you don't, stay tuned, for more intriguing polls are coming soon. too bad Android games are so lame LOL! And how would you know that Mike? I mean does your iphone have dual core or tegra2 helping your games? Oh, I am so sorry, please forgive me iphones are perfect in every way and there is no other phone that can compete. I'm not a apple fanboy, but theres a s*** load of games on the iphone compared to android, I mean a lot more.and finally android is getting games that will utilize their new dual core!! I cannot think of a single reason why anyone would need a dual core processor on their smartphone. Yes, in the very near future, it will be awesome for gaming and graphics. But right now, there aren't any games to handle it. And since not all Android phones have that processor, you aren't going to find very many developers willing to put in the effort to make an App that will only work on a few handsets out of hundreds. That's the problem with Android, there is no standard. It's funny to see all the iOS and android groups fighting it out about everything. 3MTA3: it is what it is. iOS has a much bigger variety of games than android. When they do have the same game the iPhone does it better due to the retina display. It is what it is, why argue it? When developers start to take advantage of the tegra2 chip then those games will run better on the 2x than iPhone. Yes, You are right G the iphone is the only phone out there with a 960x640 resolution. The only phone. Only. None other. Why Argue? Well the iphone isn't the 'Only' phone out there that can do anything anymore. There are alternatives with even higher specs I am afraid to say. But what do I know, Aghh the iphone is god and is just so perfect in every way and can't be stopped as it lands in the hands of every single person in the world. I'll just keep my Atrix and hang my head in shame for having such an awful device. Oh it didn't occur to me that the Atrix was out currently. You made my post into a bigger debate than what it was originally. For GAMING purposes, I believe, the iPhone is better. While i am playing EA sports games on the iPhone, the android community is virtual fishing with pixelated graphics. it's true the iPhone is the crowned gaming phone however it's only been so fortunate because of it's vast supply of games, Android powered phones are defiantly up to spec to support any game from Apple's App store and the various form factors come in handy as well the problem lies in limitations to Android that are becoming a focus to Google nowadays and the demand for them on the platform. you seem to think you have a valid point that the games are better because of the iPhone 4's Retina display but that's actually a rather weak way to look at it because the iPhone 4 is about to be matched by the QHD displays on the Bionic and the Atrix and then get knocked off it's high horse with the addition of Dual-Core Processors. Up until now, it has been definently true that iOS had the best apps. Let's be real, iOS went unchallenged for a little over two years. Every software developer with a functioning computer made an app for the iPhone. But now thanks to better Android devices, the success of former iOS only apps like Angry Birds, and the tribunal-like app approval process for the app store, we are all about to witness a paradigm shift. The games have been coming and they are much better then they have been in the past, so the developers are finding Android much more appealing than waiting months for app store approval. And if Android ever gets carrier billing up and running, there would be no stopping them. Waiting months for app store approval? Maybe a week. Apple App store went unchallenged from a little over 2 years? Try 3 months. App store launched July 2008 and Android and its store launched October 2008. Google just said that they were disappointed with the android's store success. And how long do you expect Android developers to be happy making money from advertisement clicking on free apps? I'm pretty confident that the profit the Angry birds developer made from the #1 OS in the world is nowhere comparable to how much was made in the App store. What does this mean? It means if I want to be "free," then I'll go to Android, but if I want to make money, then I'll obviously develop for Apple. If there's going to be some kind of shift, it's not happening anytime soon. ohhh yeah! the G1 and it's unheard of OS was such a threat to Apple's giant by that time. if you think about the history of the two platforms you can obviously see Whateverman's point and when it comes to developers two great platforms are better than one, Rovio found that out the successful way. You're absolutely right. Apple's competition was indeed week at that time, but you can't say they went unchallenged for "a little over two years." There was competition right in the beginning. People need to get the timeline in order. IMO, The G1 definitely shouldn't have been the flagship Android device if Google wanted to compete. i think at least a year or two is more like it. Apple has always embraced gaming on their platform much more than everybody else has, even so much as to market the iTouch as a portable gaming device and Android is just now getting on the bandwagon and is getting ready to get quality games on the Market. flagship device? there was ONE device, nobody knew what Android was trying to be at that time but us people with extensive knowledge of phones. Look, the problem Android and Windows Phone will always be the varying screen sizes! Developing for IOS involves 2 possible screen resolutions. So, obviously the games will be much smoother and prettier than Android's. Should developers create high-end or specific games for high-end phones it would become a never-ending battle. if you want to play mobiles games the new PSP is the way to go! 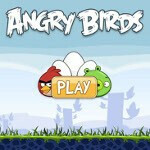 Quad core, great graphics and specially designed games.